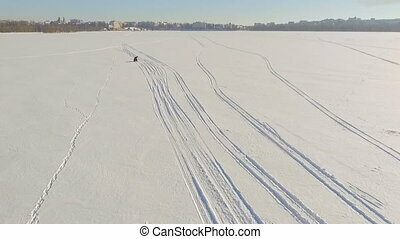 Winter fun. 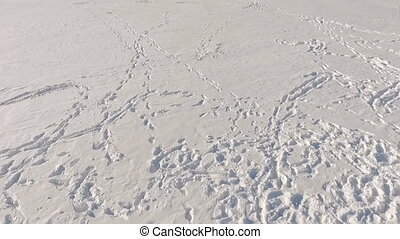 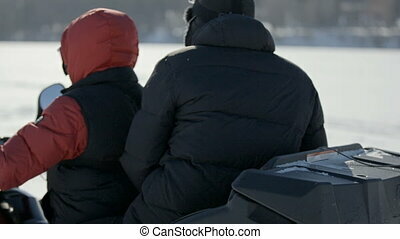 a trip on a snowmobile. 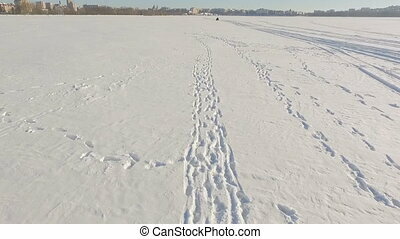 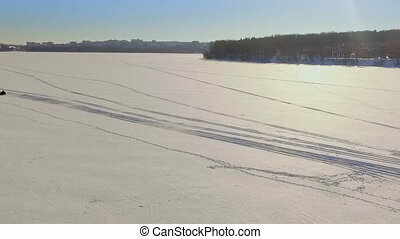 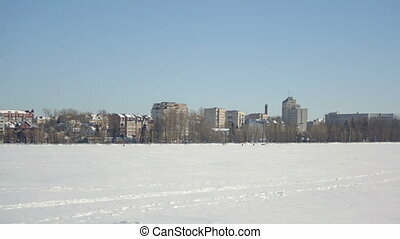 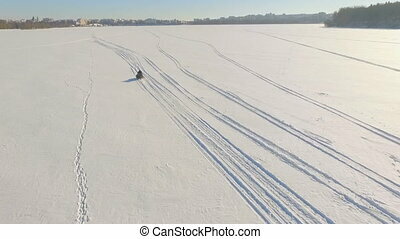 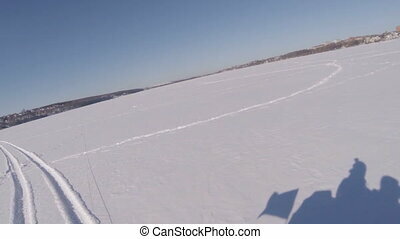 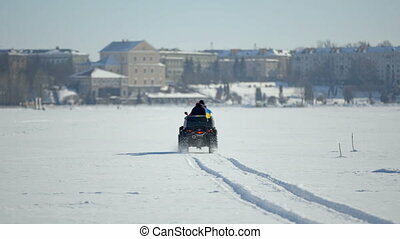 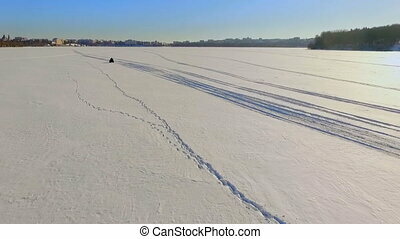 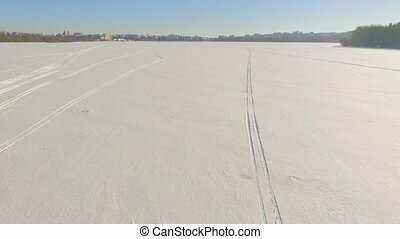 two guys are riding a snowmobile over frozen lake ice in the background of a winter park ternopil ukraine.